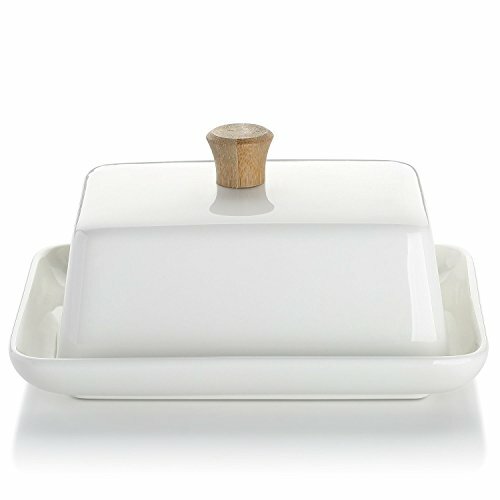 DOWAN 6inch Porcelain Butter Dish with Lid European Style White is currently selling at $13.99, which is its normal price. It has a lowest price of $13.99 and is selling within its usual range. Price volatility is 0.15% (meaning it does not change often), so you might have to wait a while for the price to drop. Until then this is a recommended 'ok deal'. The current deal is also the best price on this item over the last month. 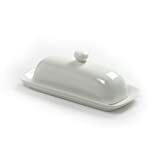 Compare the current price, savings (in dollars & percent) and Buy Ratings for the top Butter Dishes that are closely related to DOWAN 6inch Porcelain Butter Dish with Lid European Style White. Here is how DOWAN 6inch Porcelain Butter Dish with Lid European Style White compares with other leading Butter Dishes. 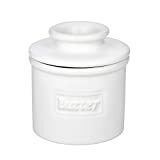 Ample room for butter: won't smear butter on the top or edges of the lid. Our 30-day break-and-chip warranty covers every piece of item we sell. You can easily reach us by directly replying our after-sales service letter (usually sent after you placed an order) if there emerges a product problem or if you're dissatisfied with the product. 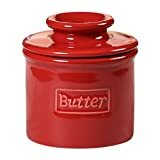 FeaturesDESIGNED FOR BUTTER NO MORE THAN 8 OZ(227g): DOWAN butter dish can serve Kerrygold 8 OZ(227g), Land O Lakes 4.4 OZ, LURPAK 7 OZ(200g) and butter at a small size. I have no doubt that the smaller size butter lovers always enjoy the freshest butter.DETAIL-ORIENTED: dust-proof and spilling resistant, easy to get butter off by directly cutting on the flat dish bottom.They clean up perfect in the dishwasher as well, alternatively, you can wash them easily with soap and hot water.SAFE AB-GRADE PORCELAIN - FDA approved, Cadmium and LEAD free, microwave, oven, refrigerator and dishwasher safe. The long-lasting material blocks moisture absorption and prevents cracking, crazing and rippling, it is the best keeper for your butter.DOWAN ORIGINAL DESIGN: delicate design details pair boutique wood knob with our contemporary square shape, bringing a touch of romance and subtle sophistication to your table. The lustrous finish transcends style and is perfect for any occasion.